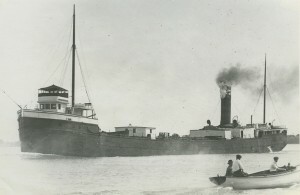 The REND earned lots of profits for its owners over the years that followed, principally carrying coal up to lake Superior and iron ore back down to Lake Erie ports. 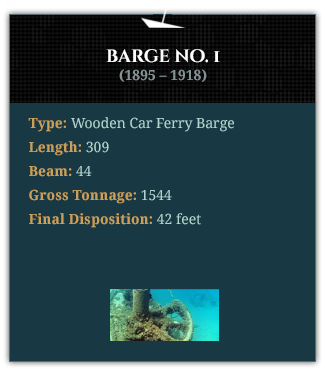 It often towed a barge with similarly large cargoes, generating still more profits. 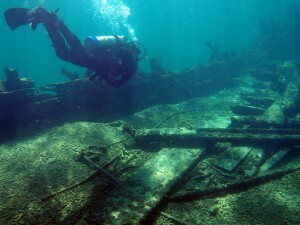 Like all of its running mates during the “Shipwreck Century”, the HADLEY suffered frequent accidents from machinery problems, leaks, storm damage, and groundings. 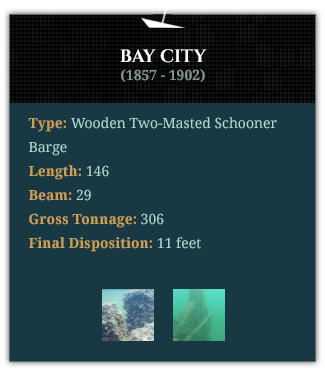 In June of 1902, it collided with a steel steamer off the harbor at Duluth, Minnesota, and both ships sunk. 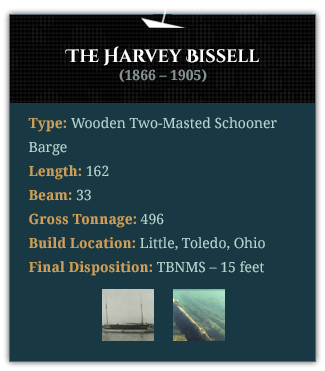 Fortunately, the HADLEY made it to shallow water, where it was afterwards recovered and put back into service. 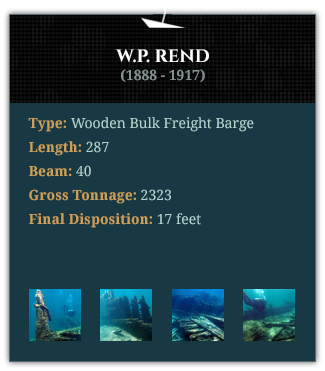 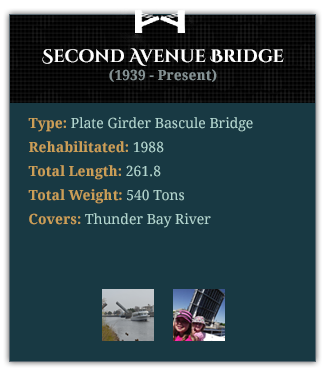 The ship was renamed WILLIAM P. REND in 1903 and made into a barge in 1915. 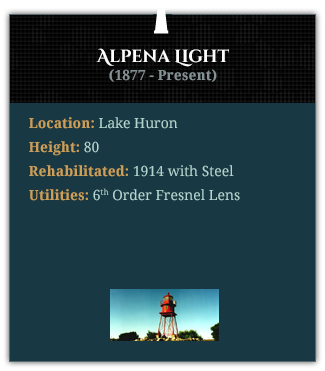 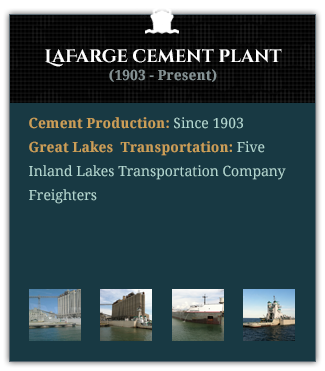 On September 22, 1917, the ship sank in its present location just outside the Huron Cement Company’s plant in Alpena, reportedly loaded with a cargo of limestone. 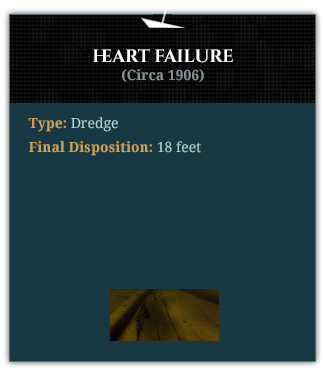 There is no record of an attempt to re-float the ship. 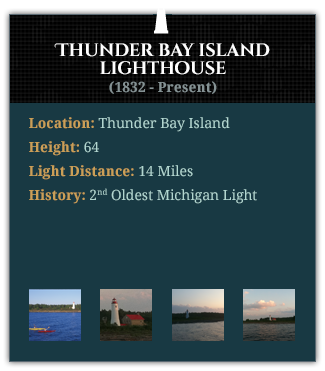 There are dozens of wrecks in the Thunder Bay area. 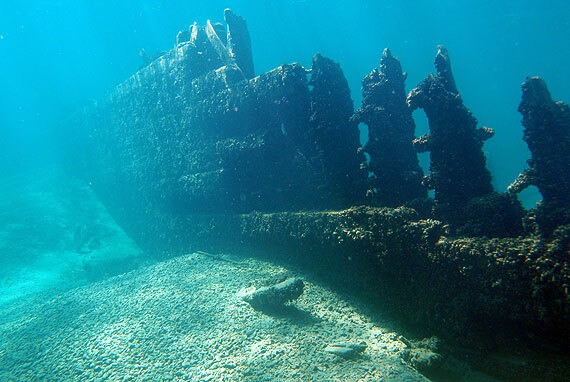 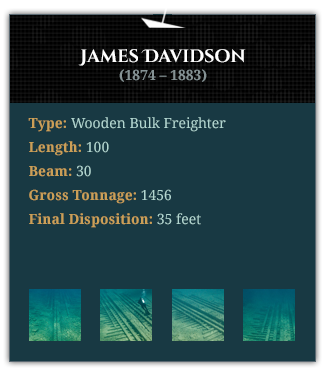 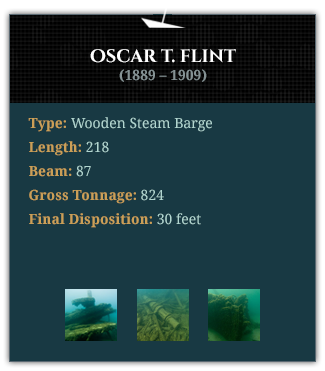 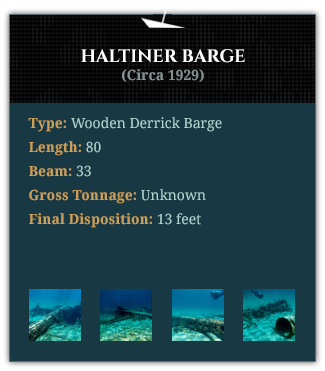 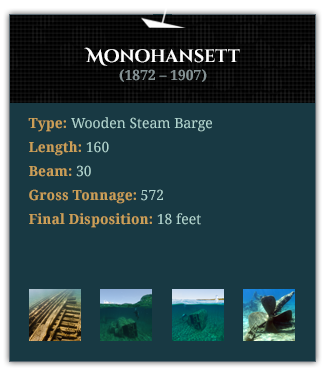 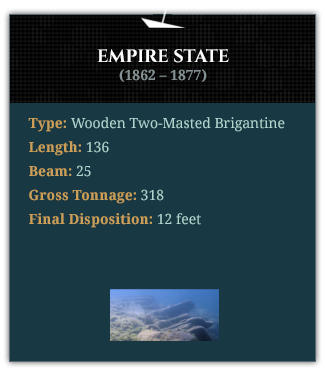 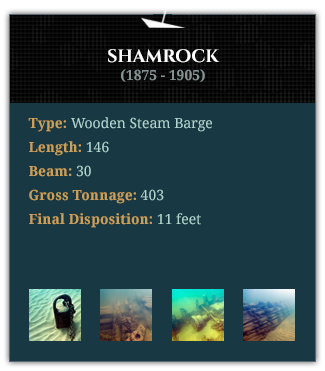 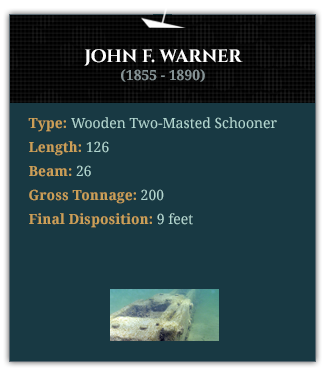 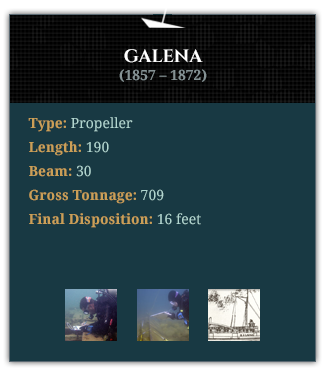 Hover over a shipwreck below to see its facts and photos. 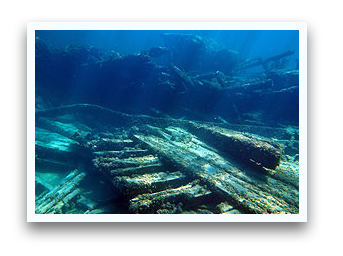 Lake Huron and Mother Nature collaborate on which shipwrecks they're willing to share on any given day. 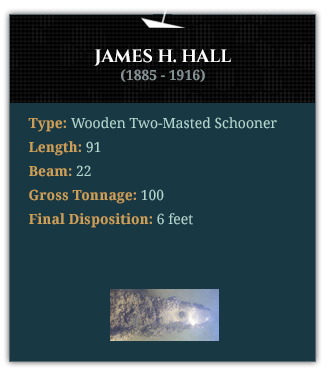 Scroll over icons to view more details.